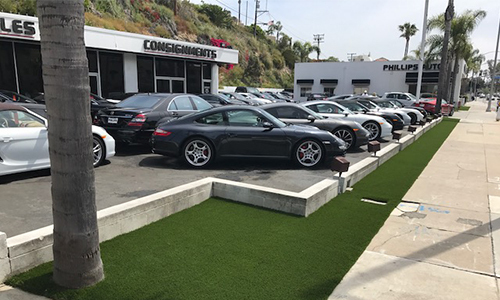 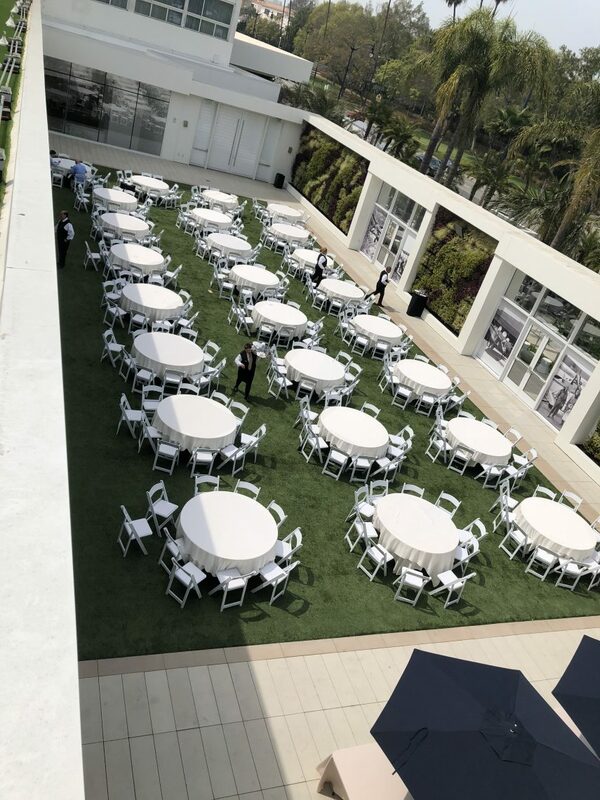 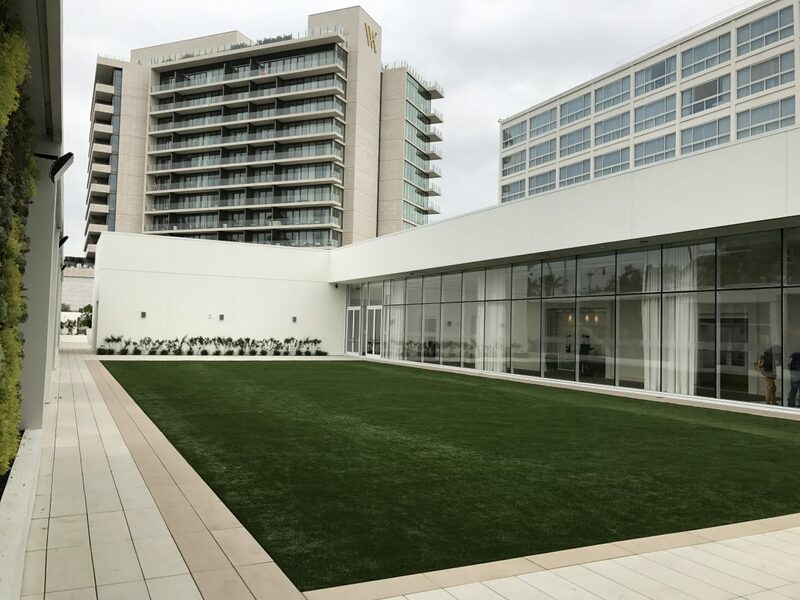 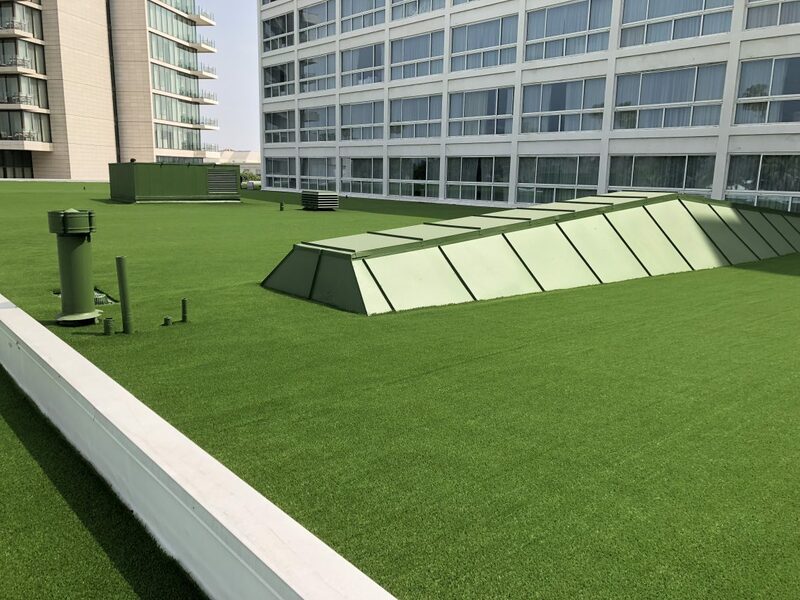 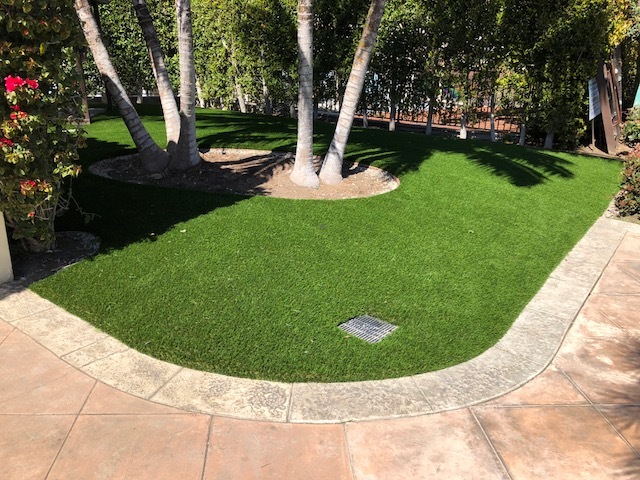 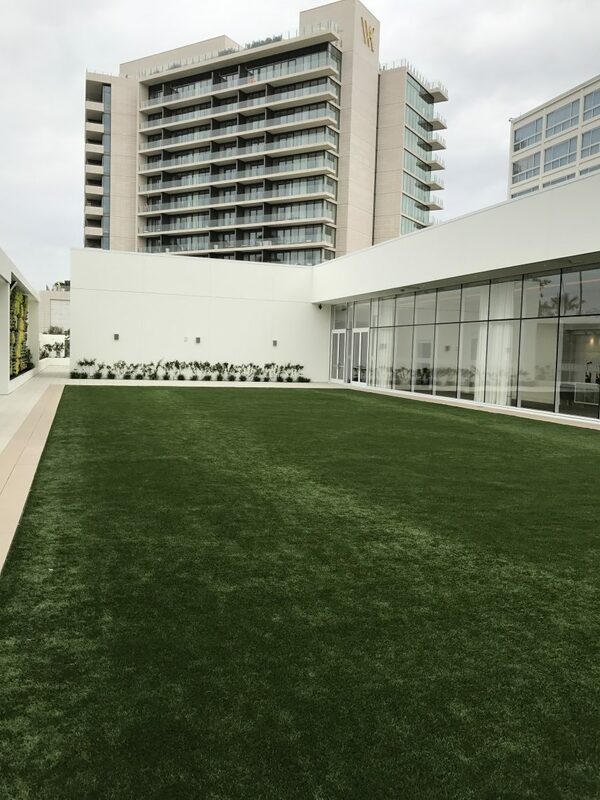 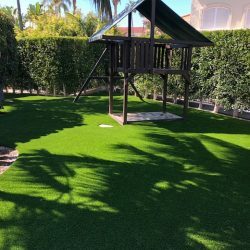 Let the professional installers at Five Star Turf enhance your business’ outdoor aesthetic with durable and cost effective artificial grass solutions. 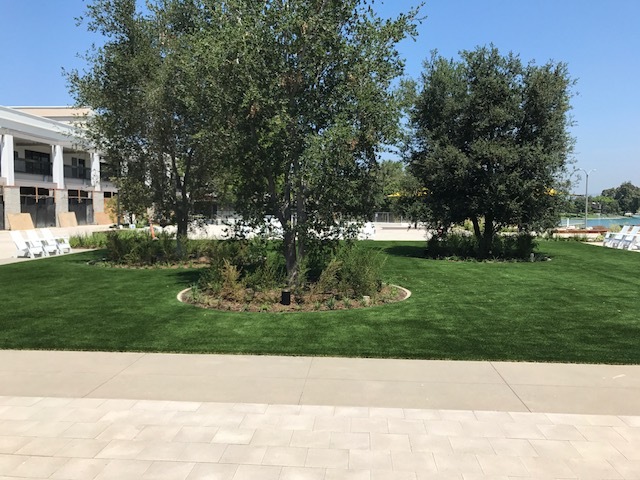 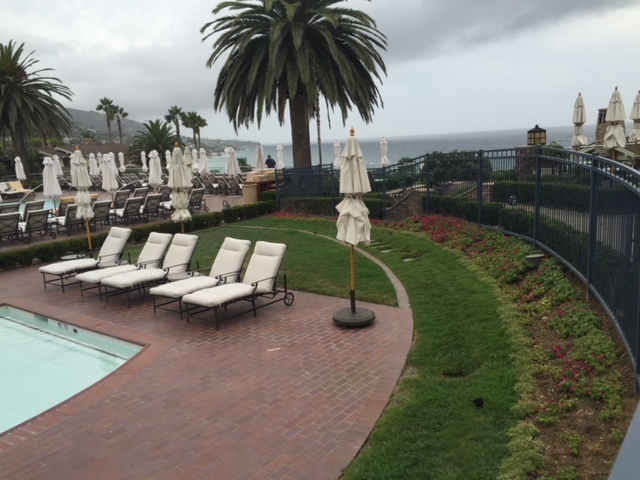 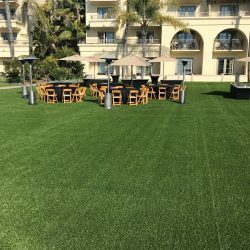 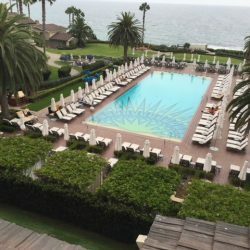 Five Star Turf only installs the most advanced synthetic grass products that are specifically developed for commercial business applications. 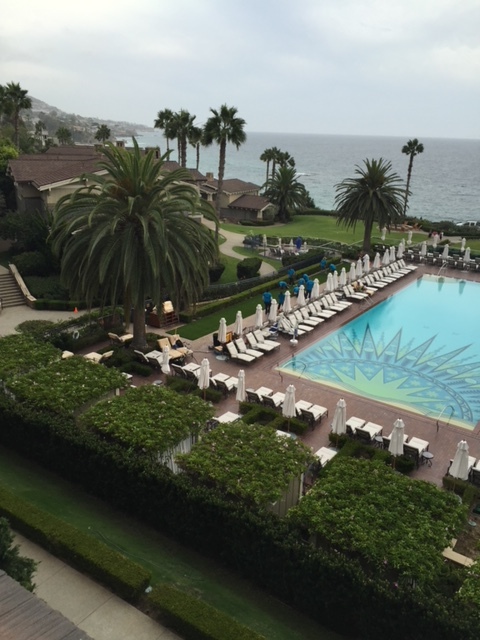 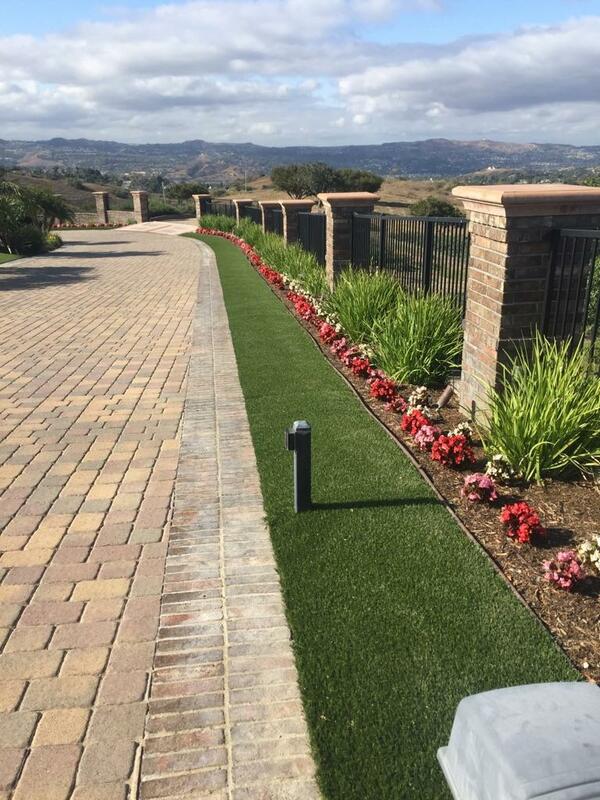 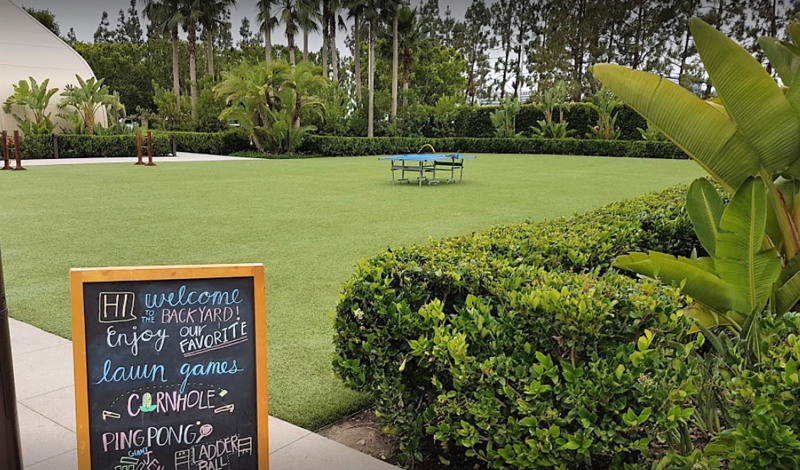 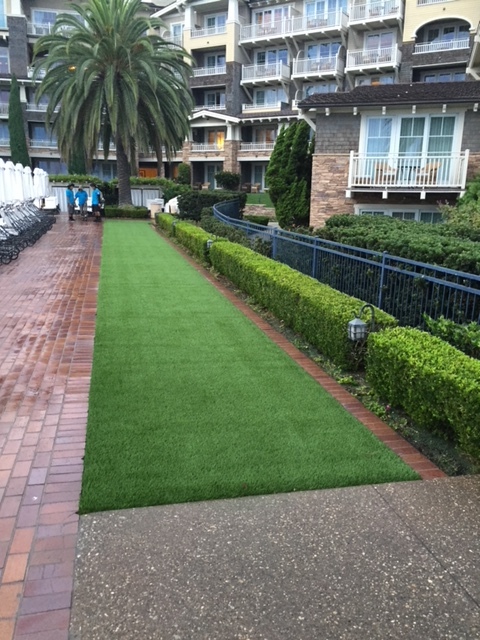 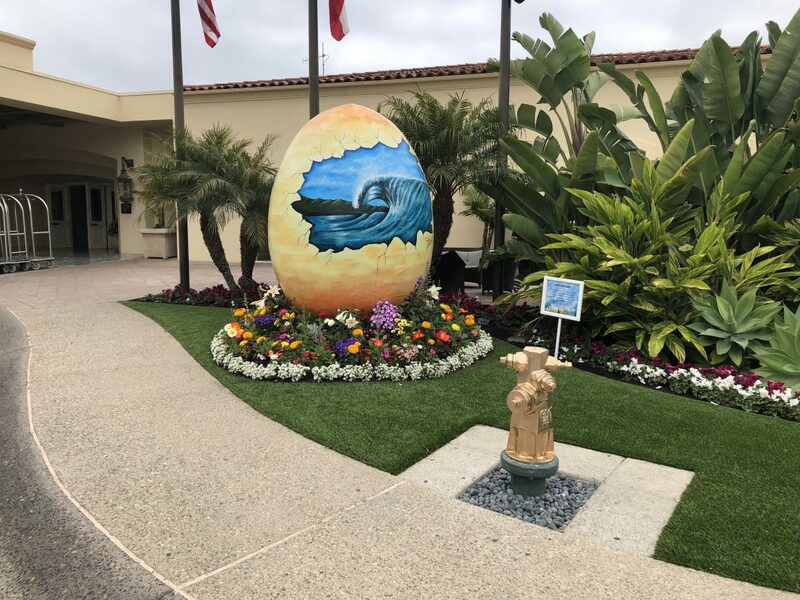 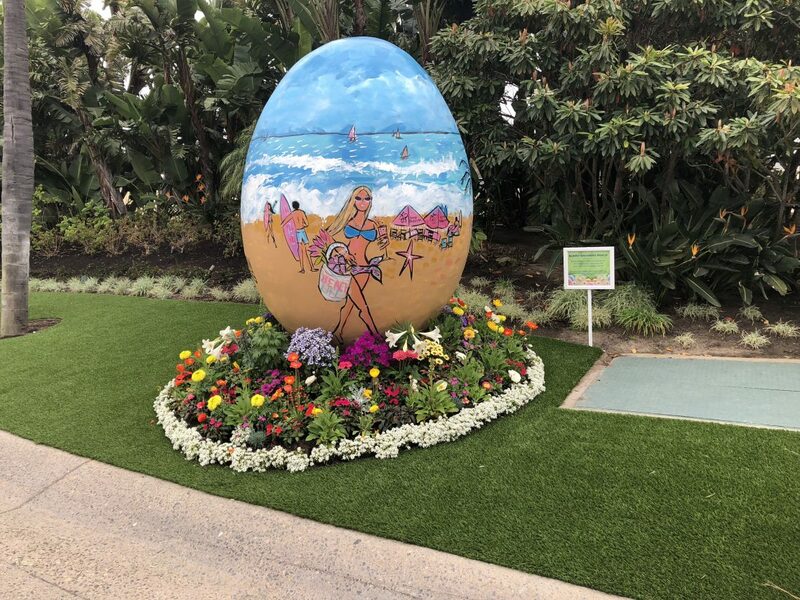 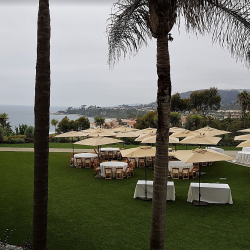 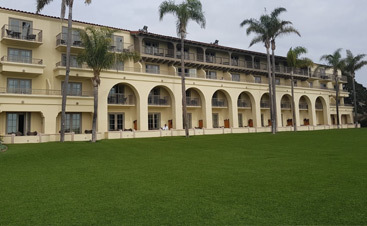 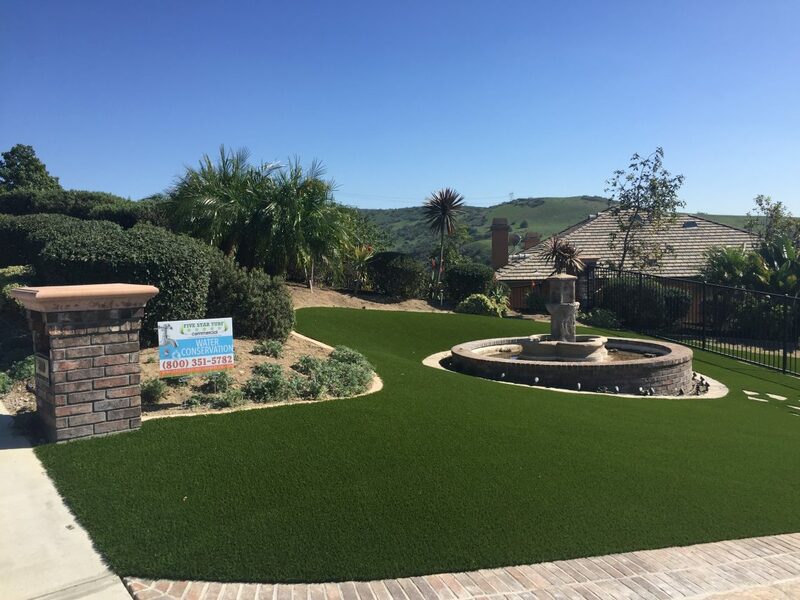 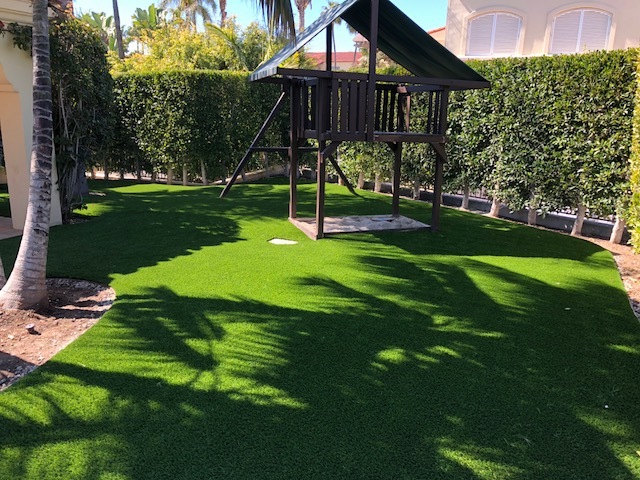 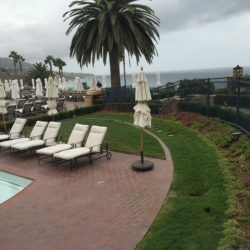 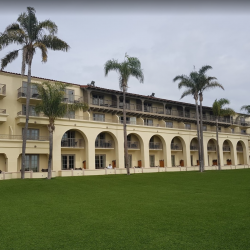 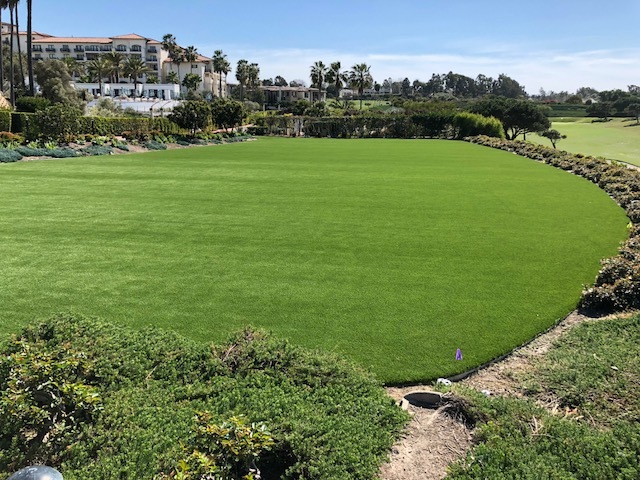 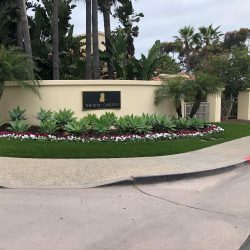 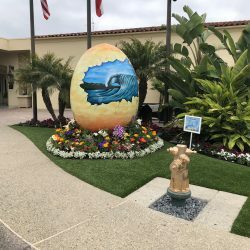 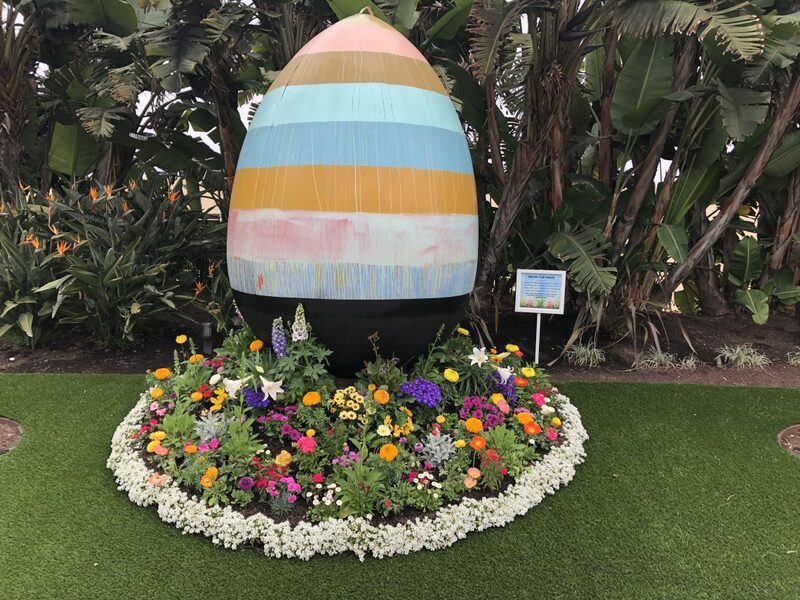 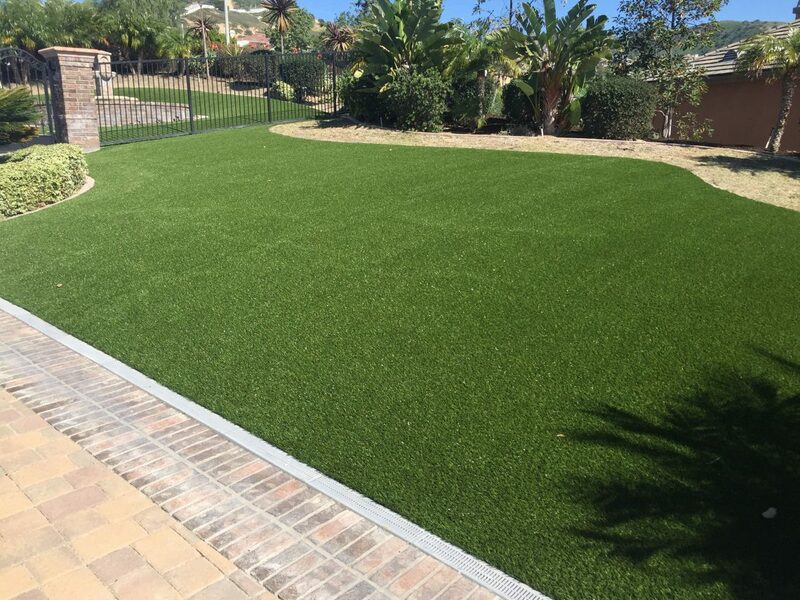 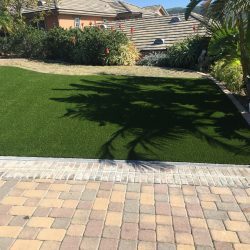 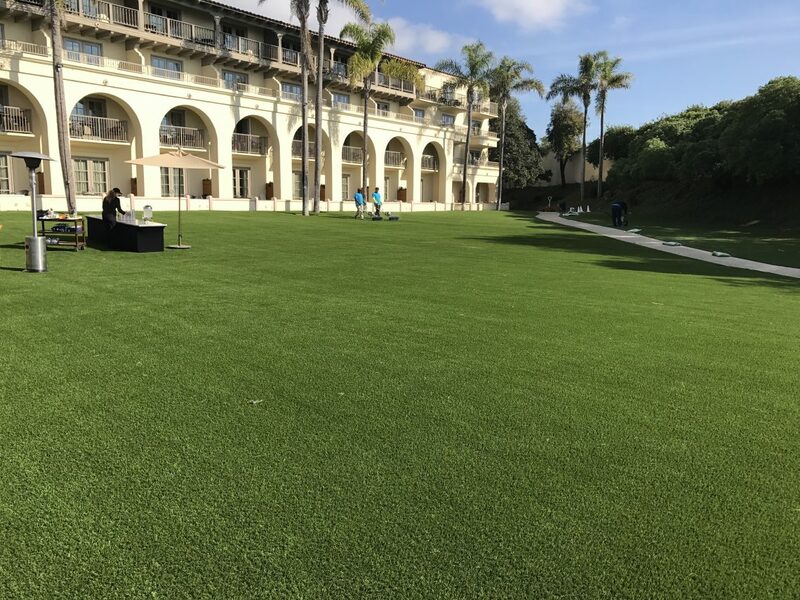 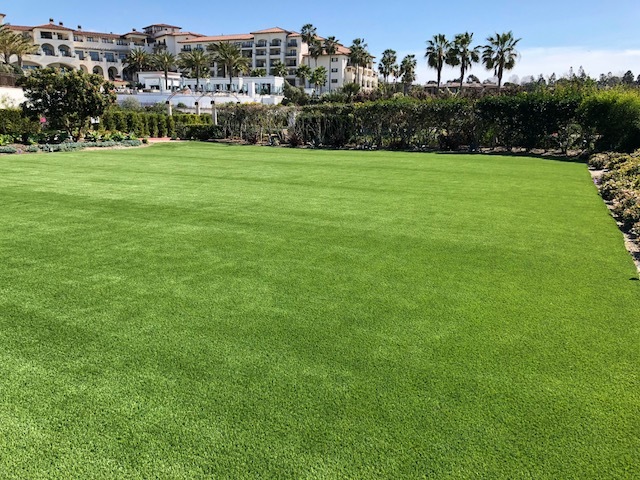 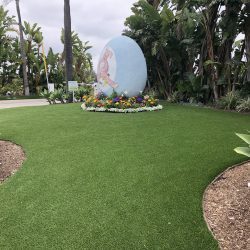 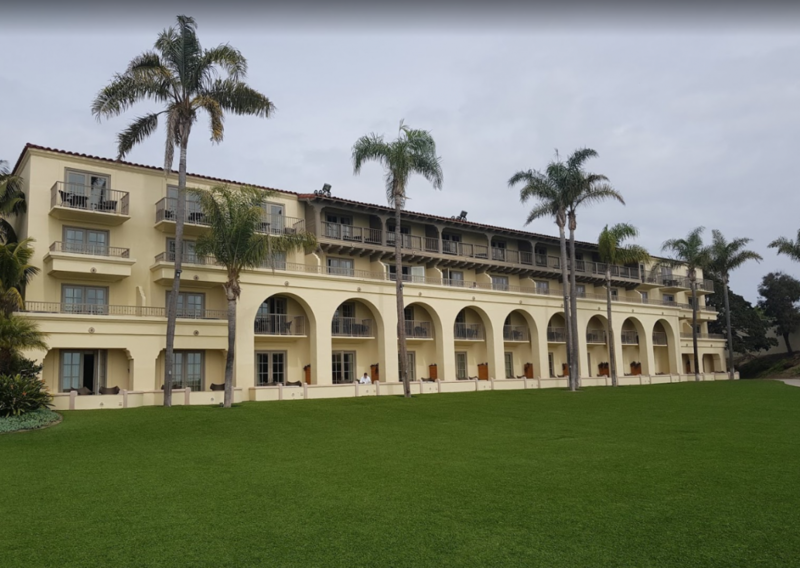 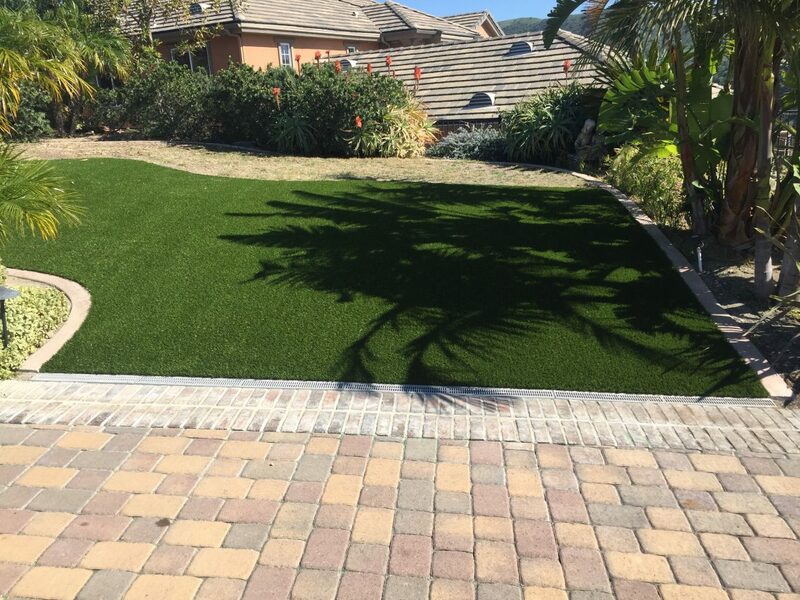 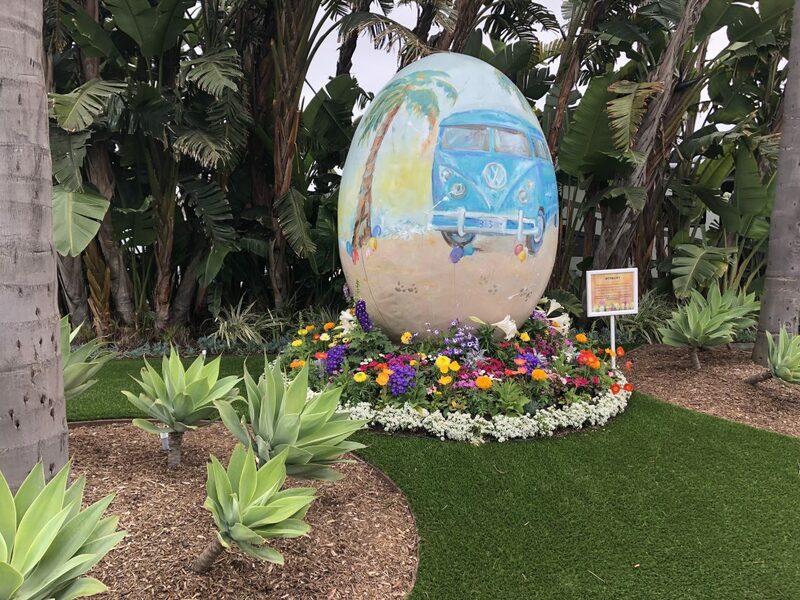 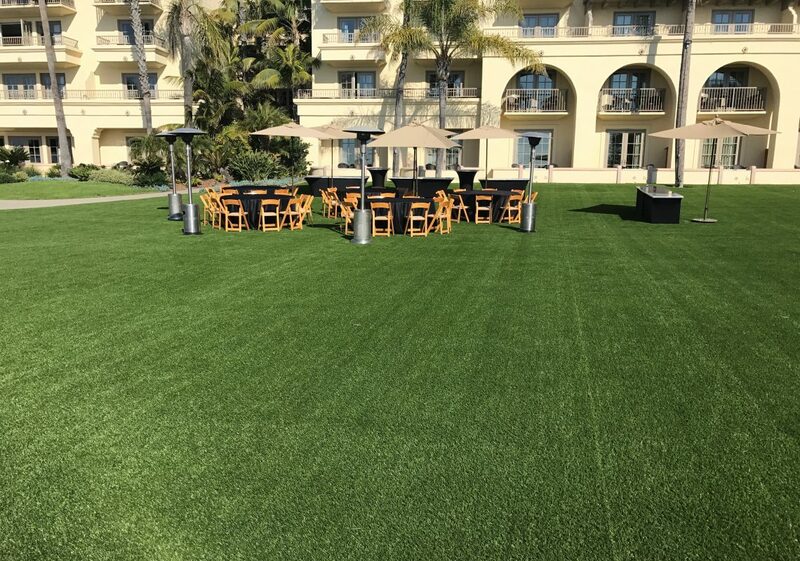 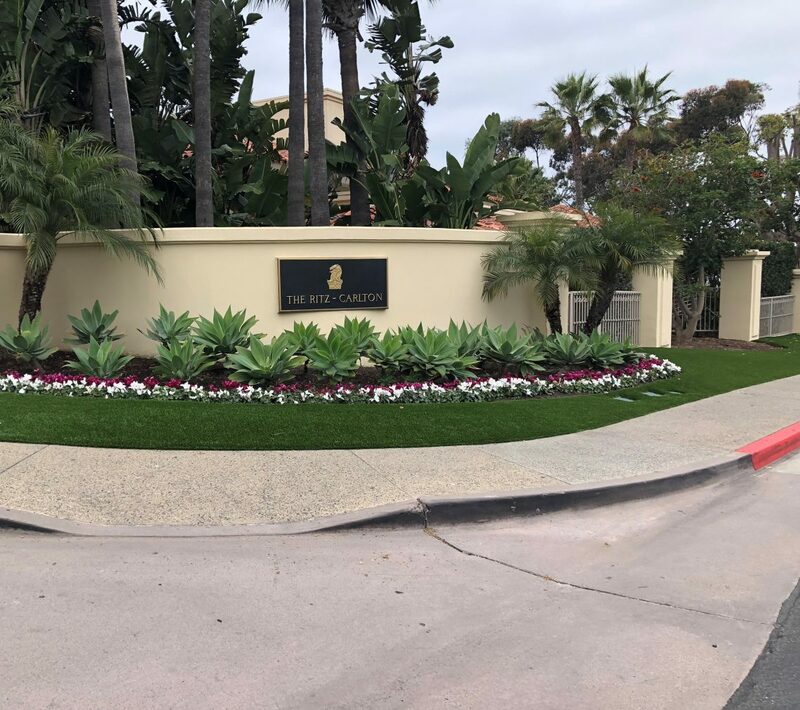 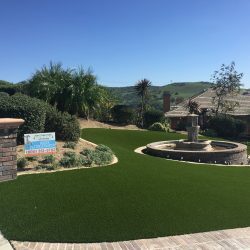 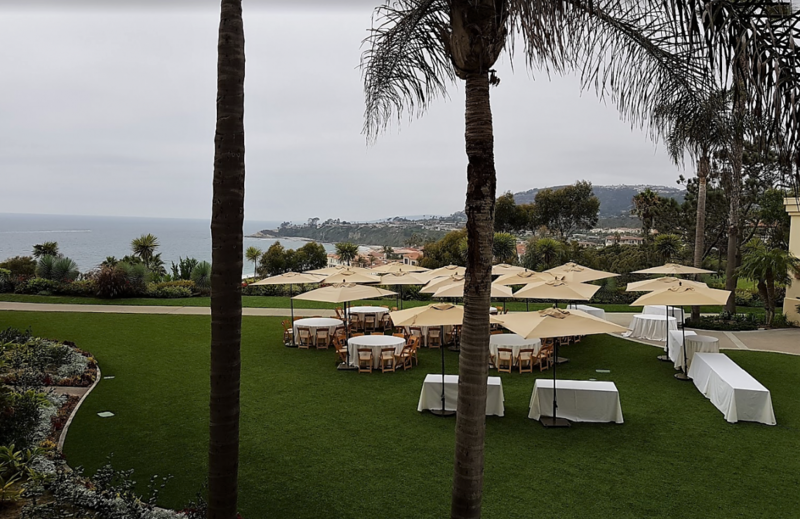 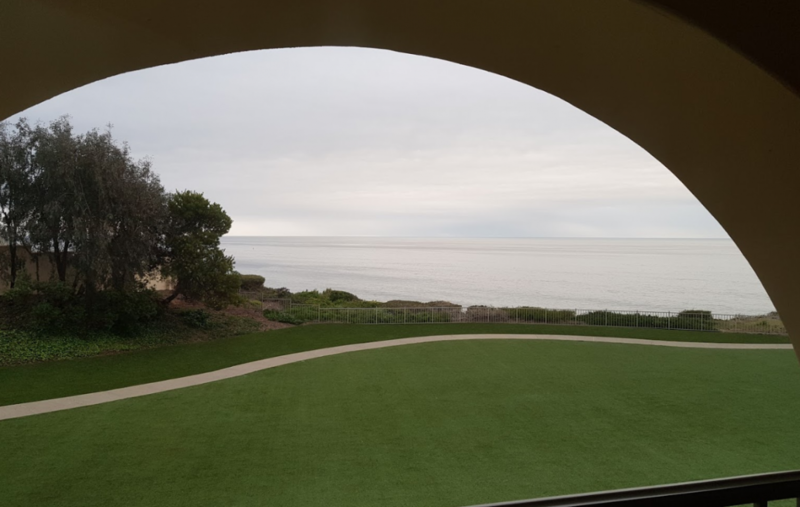 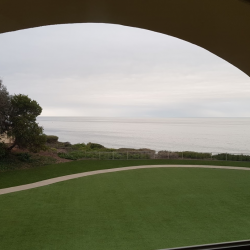 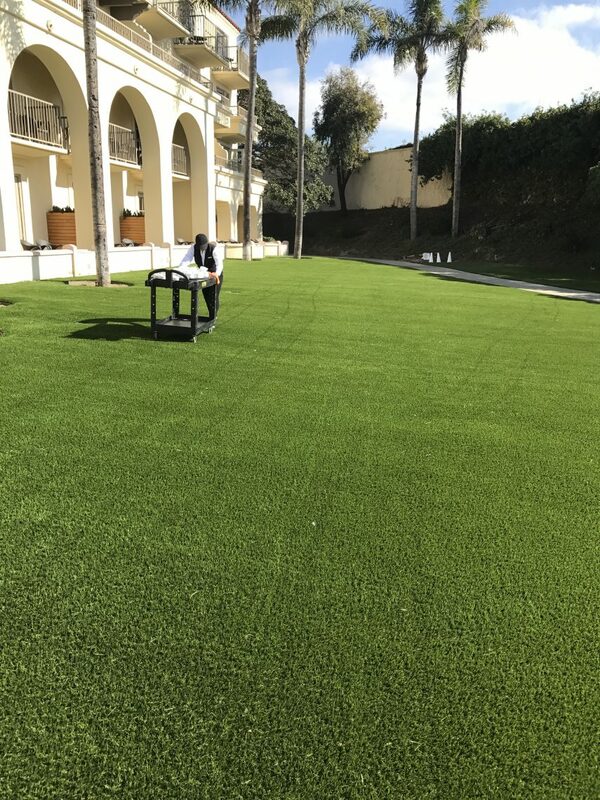 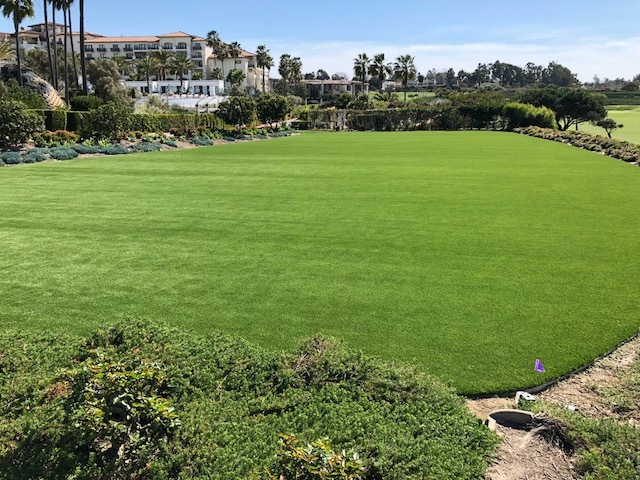 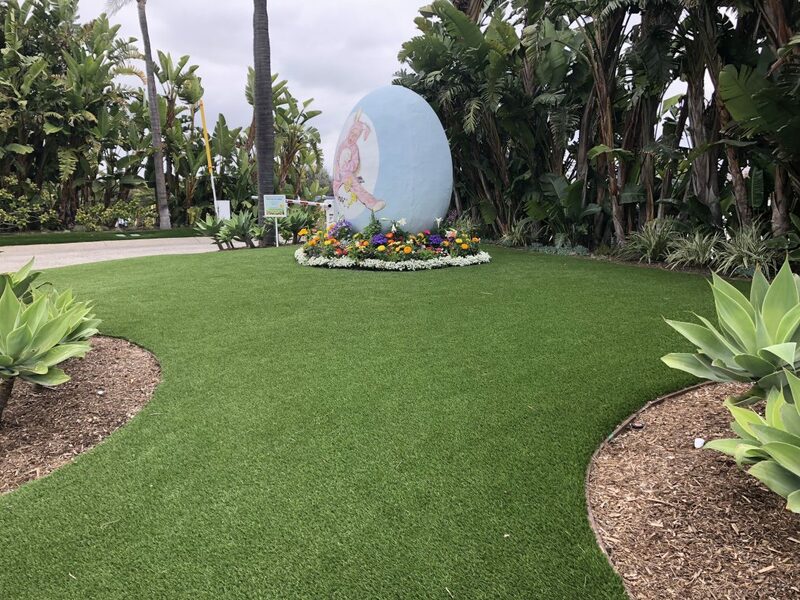 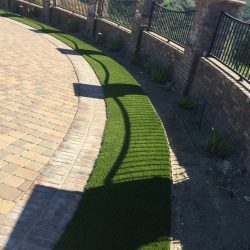 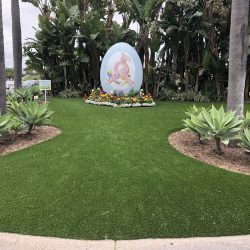 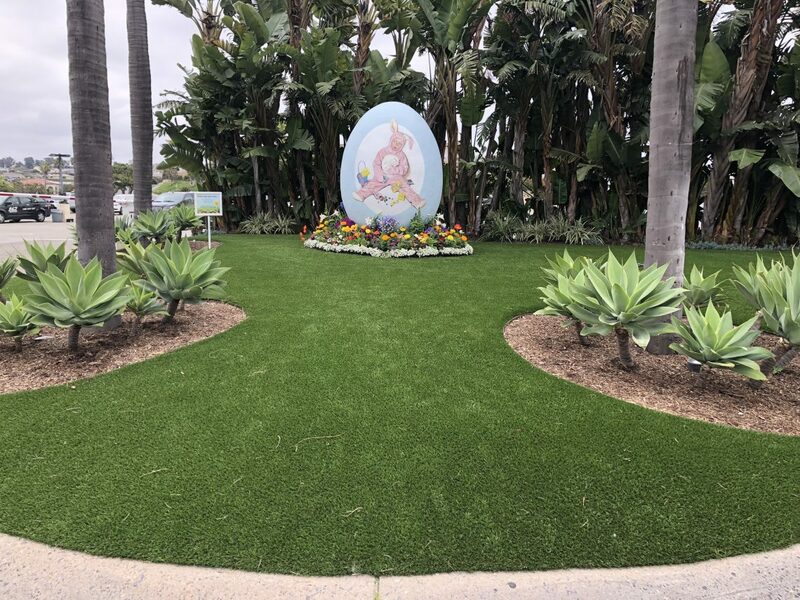 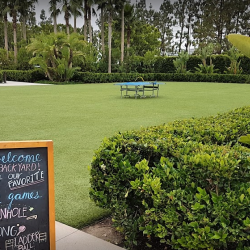 Every synthetic grass product from Five Star Turf features realistic textures with lifelike colors and hues to match the natural look and feel of real grass. 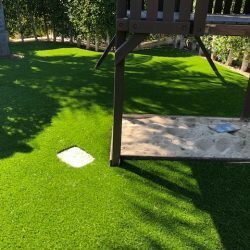 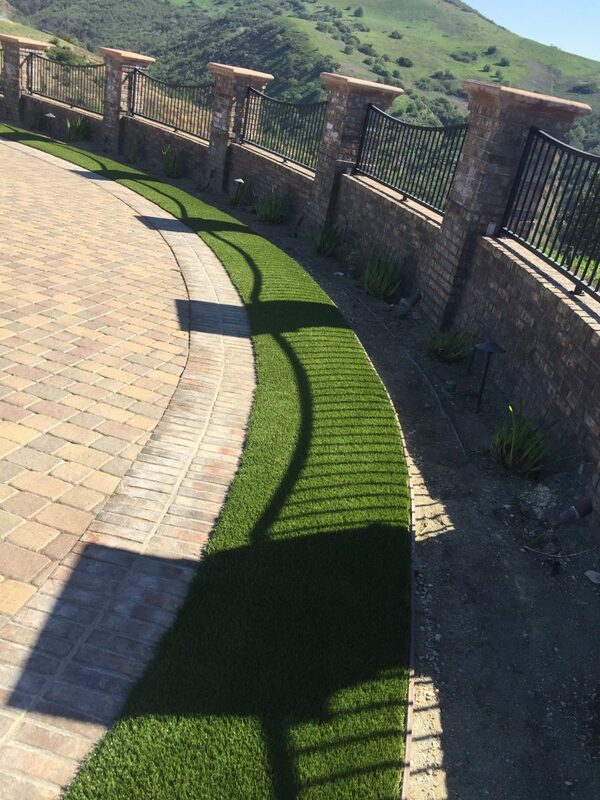 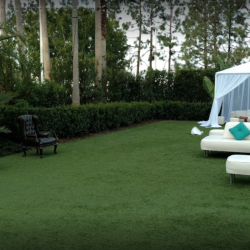 Not only is Five Star Turf’s artificial grass durable and realistic, it provides a great return on investment. 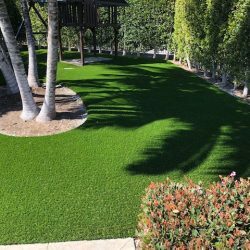 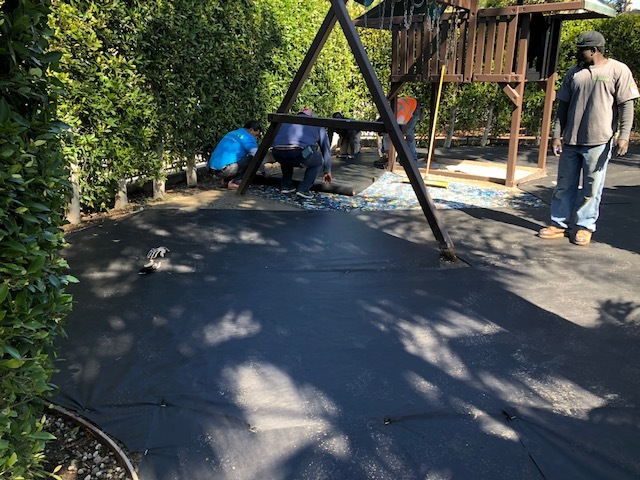 Installing artificial grass with Five Star Turf will drastically reduce all costs associated with maintaining natural grass. 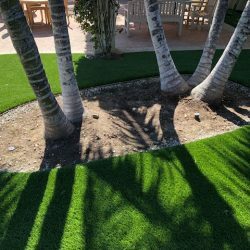 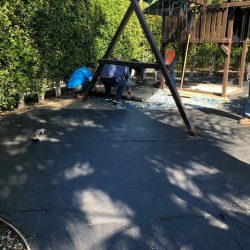 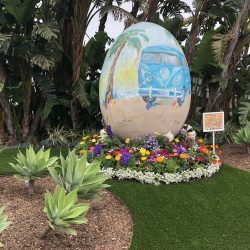 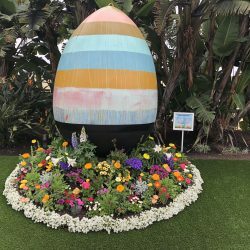 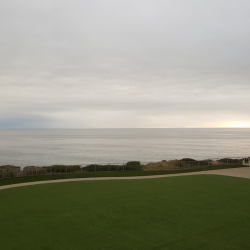 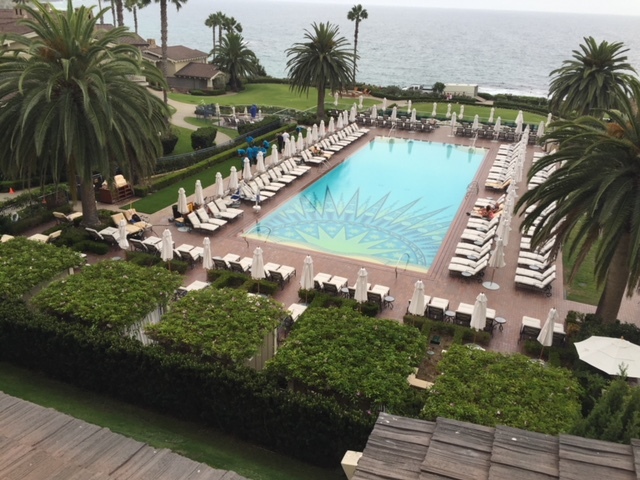 Professional landscaping, mowing, sodding, fertilizing, and general outdoor maintenance can cost your business thousands, if not tens of thousands of dollars each year. 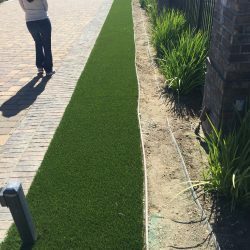 Even worse is the added cost of regularly running irrigation systems that use hundreds of thousands of gallons of water each year! 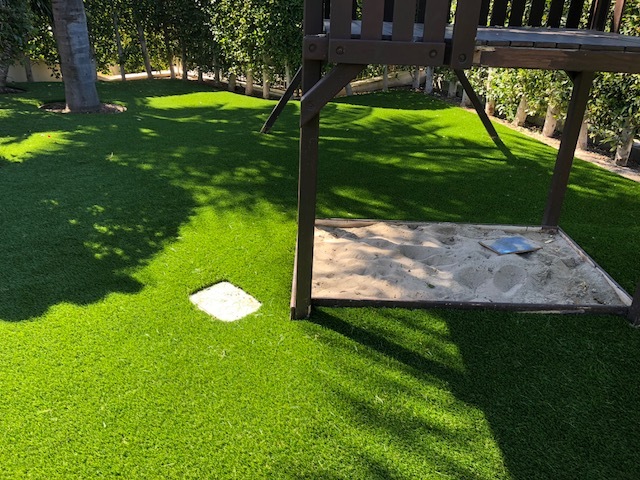 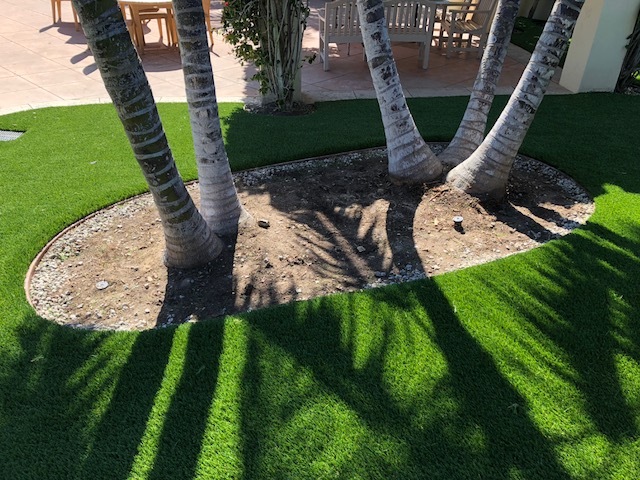 Installing artificial grass with Five Star Turf has provided countless customers with an average return on investment in two to three years! 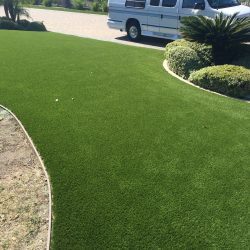 There’s so much to gain by making the switch. 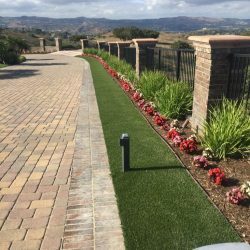 Save time by not having to constantly maintain your landscape, save water by eliminating the need for a sprinkler system, and save money by cutting back on water, time, and landscaping. 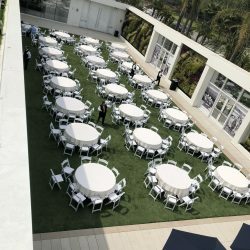 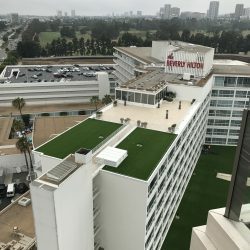 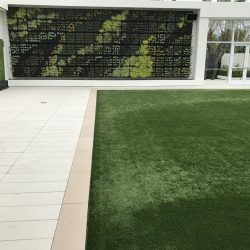 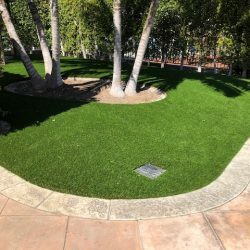 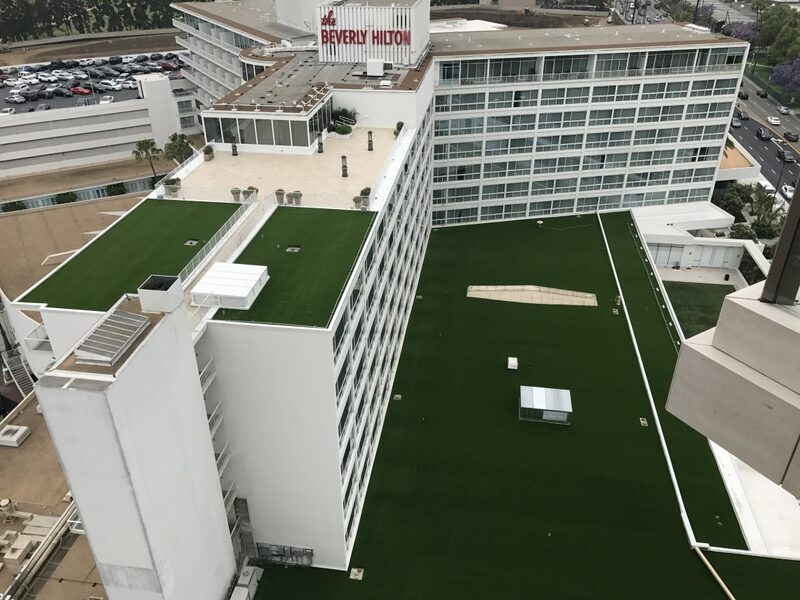 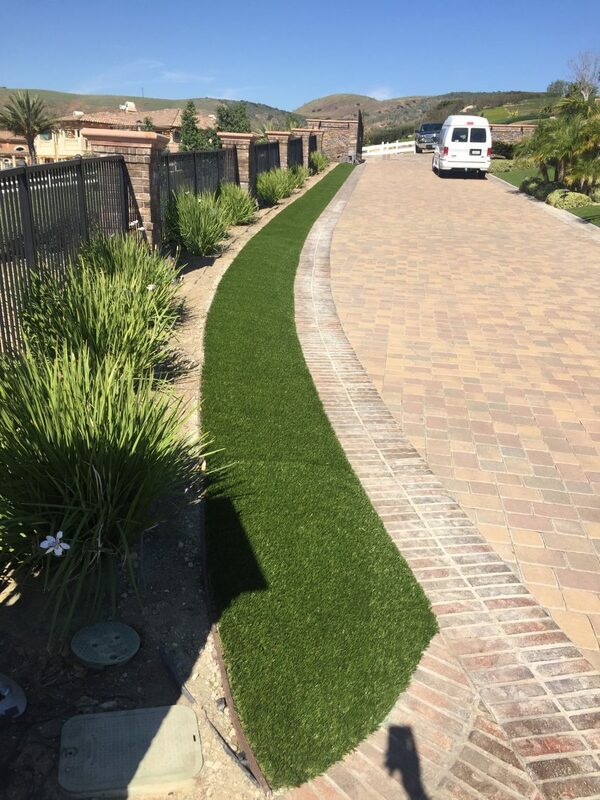 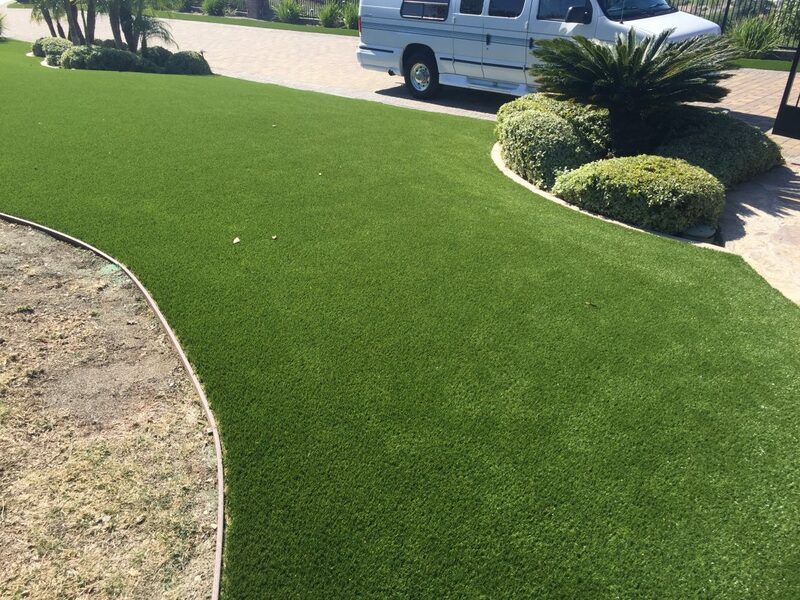 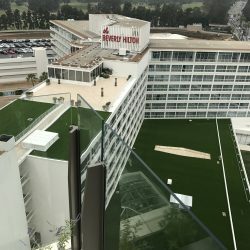 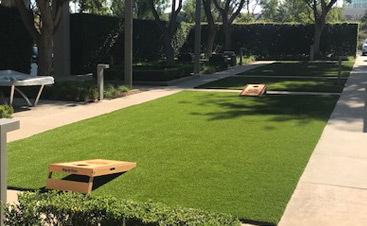 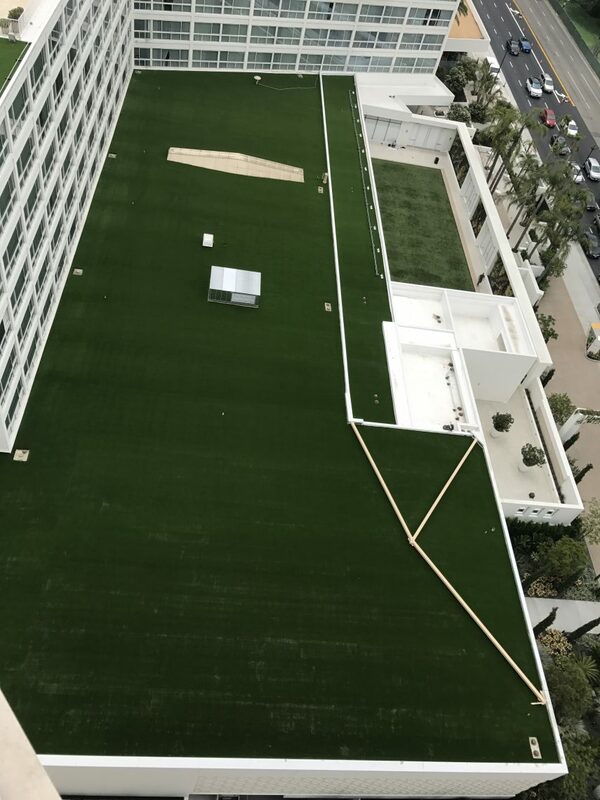 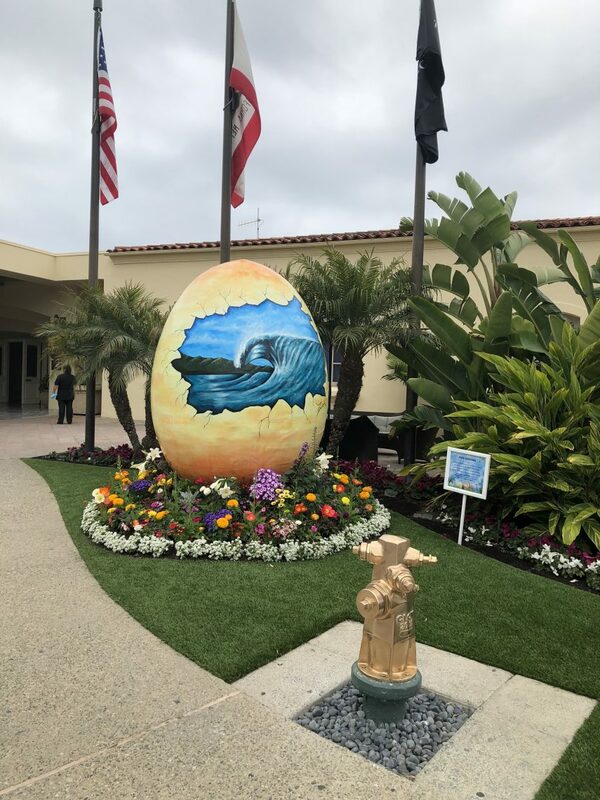 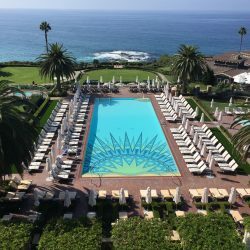 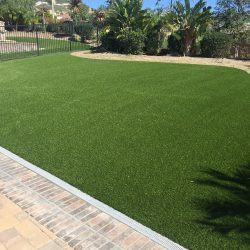 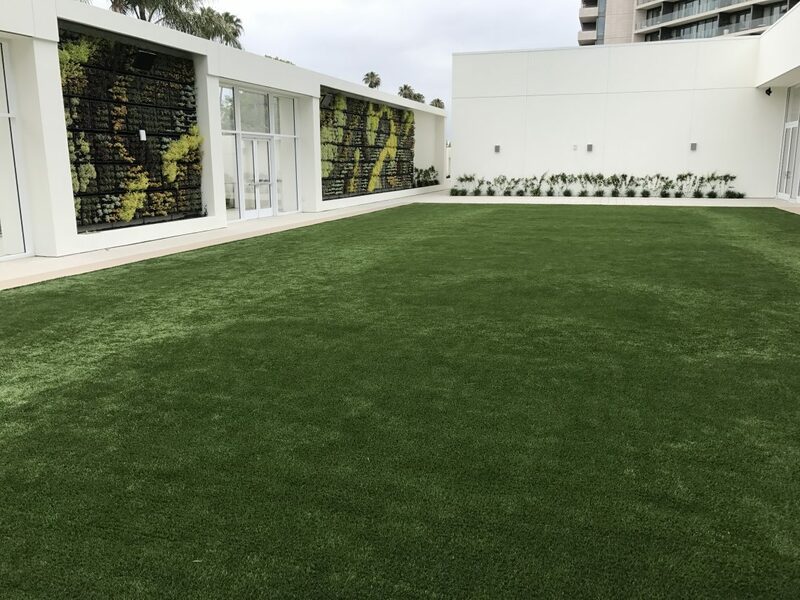 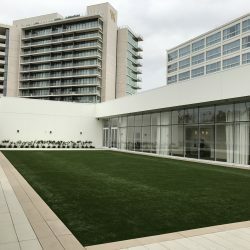 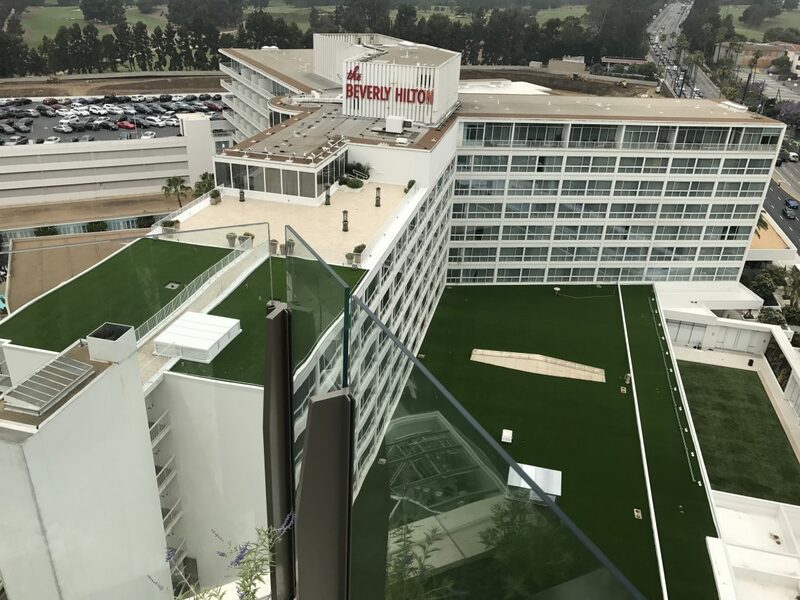 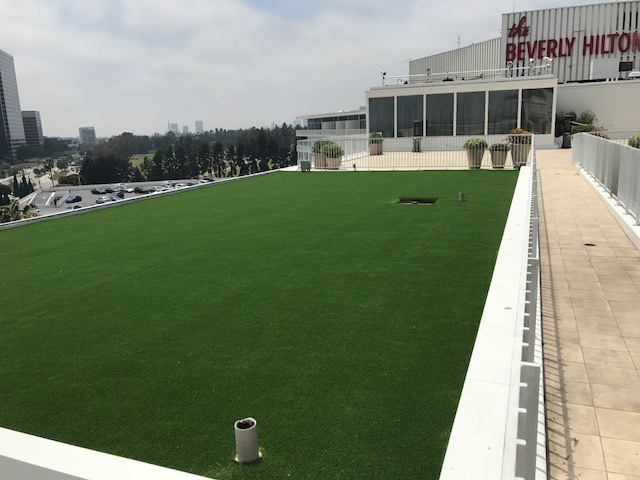 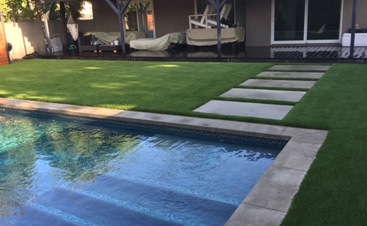 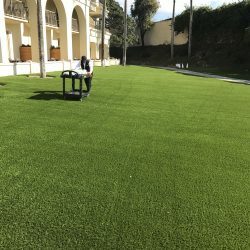 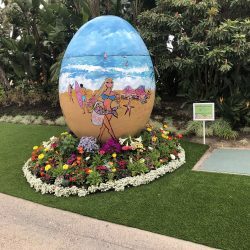 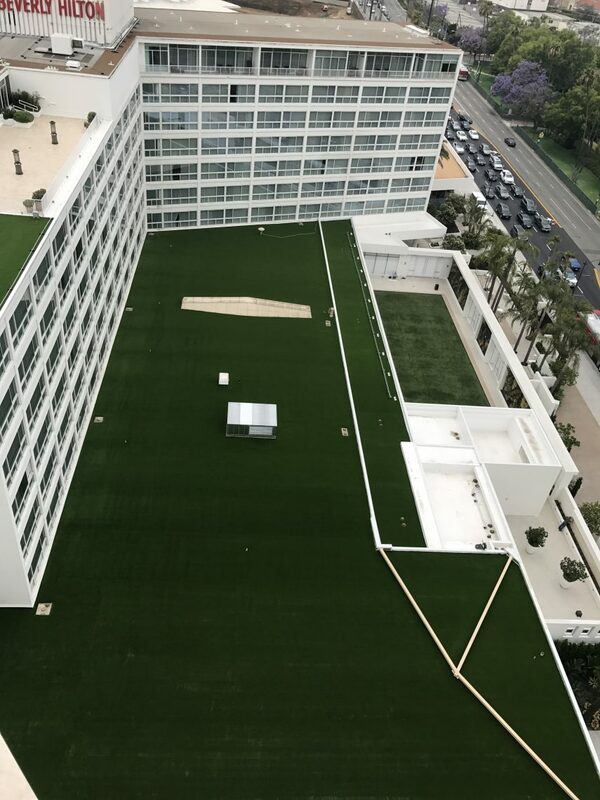 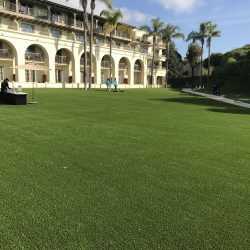 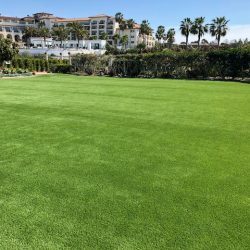 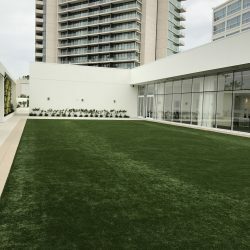 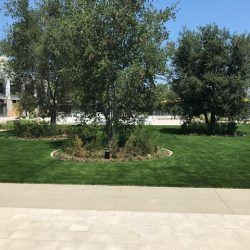 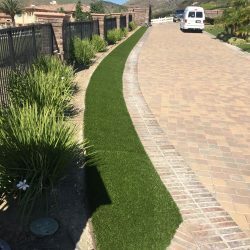 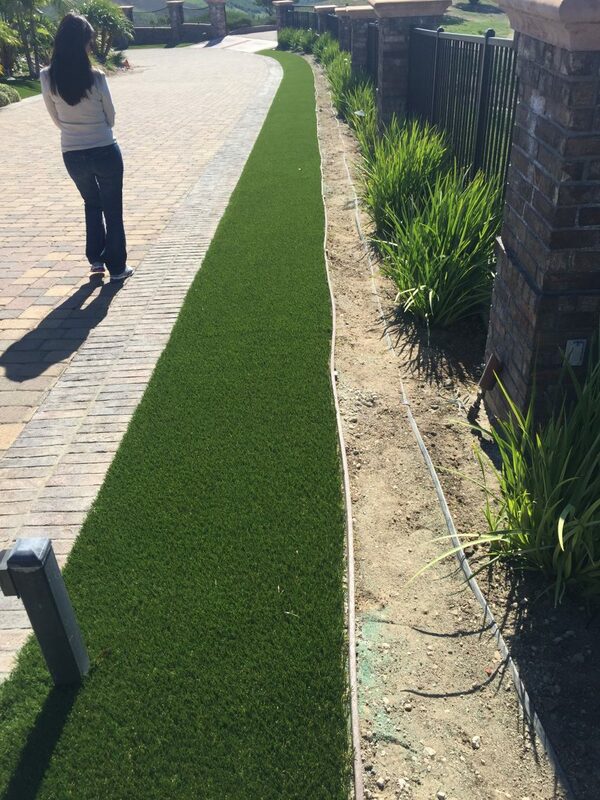 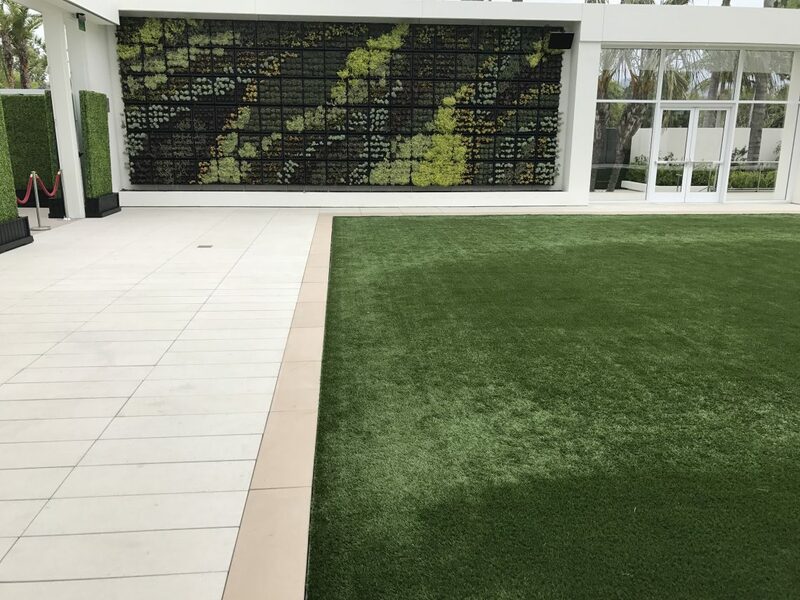 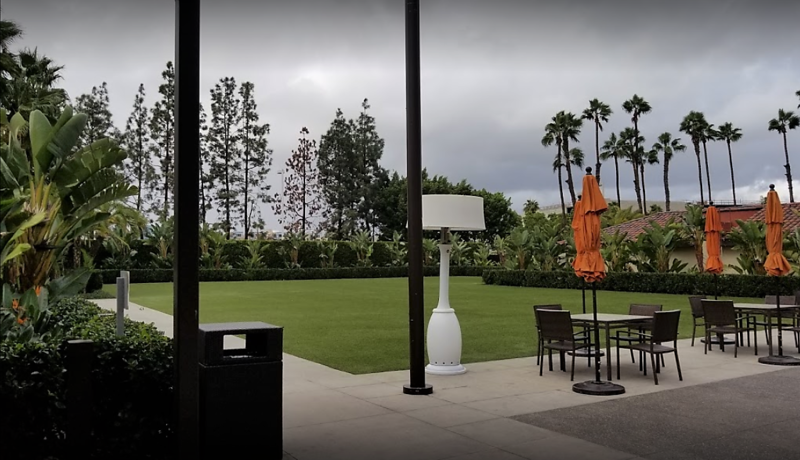 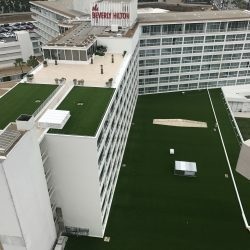 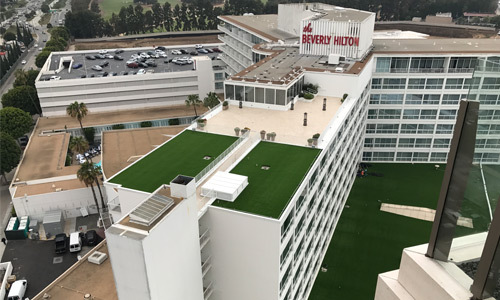 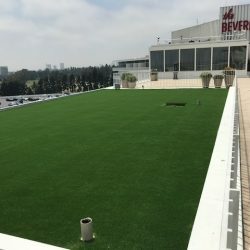 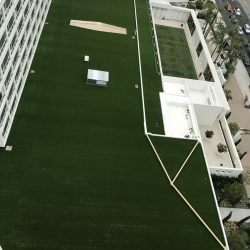 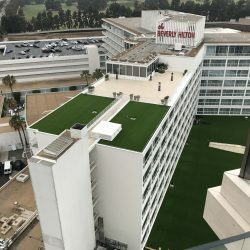 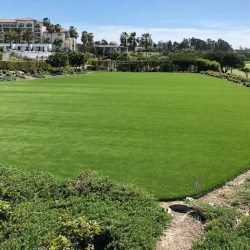 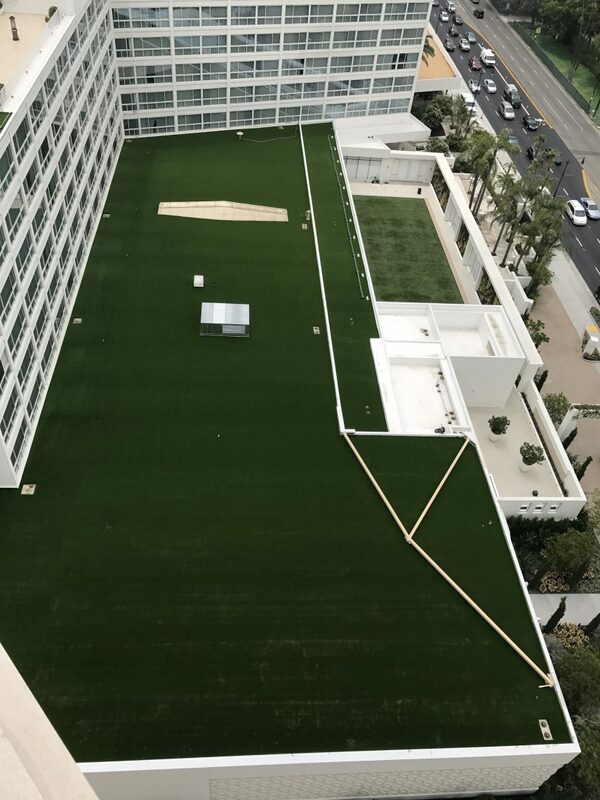 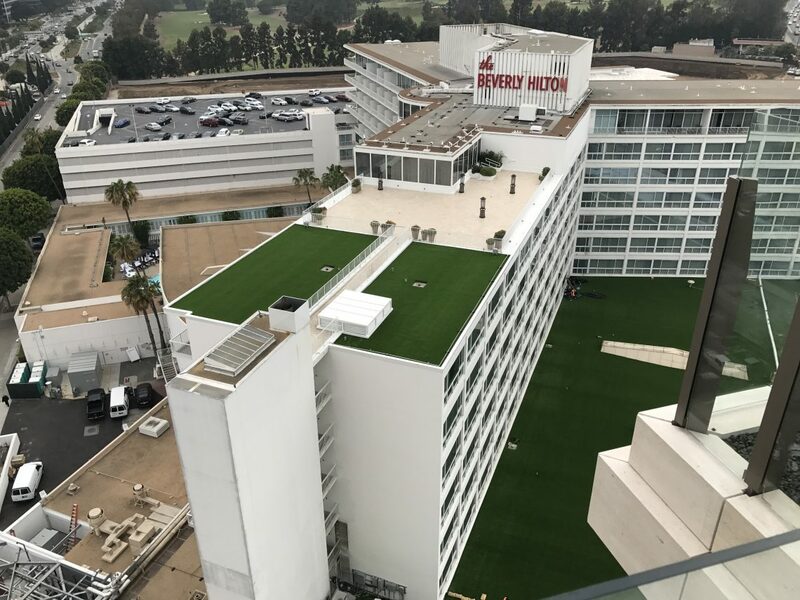 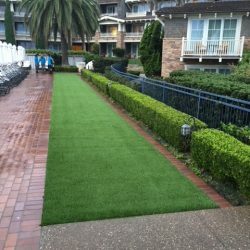 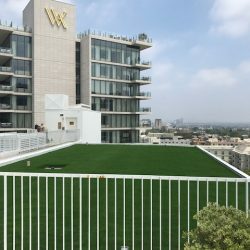 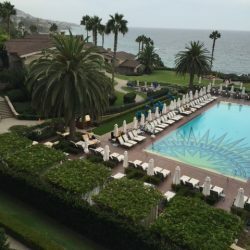 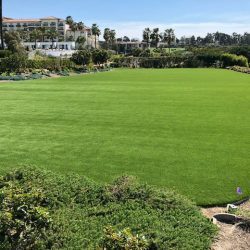 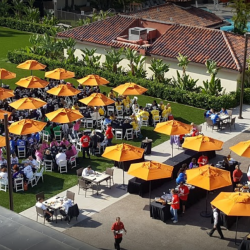 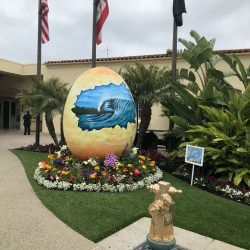 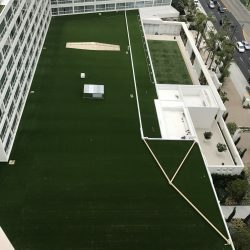 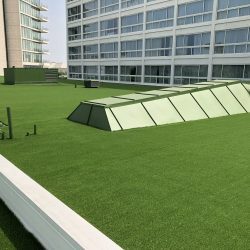 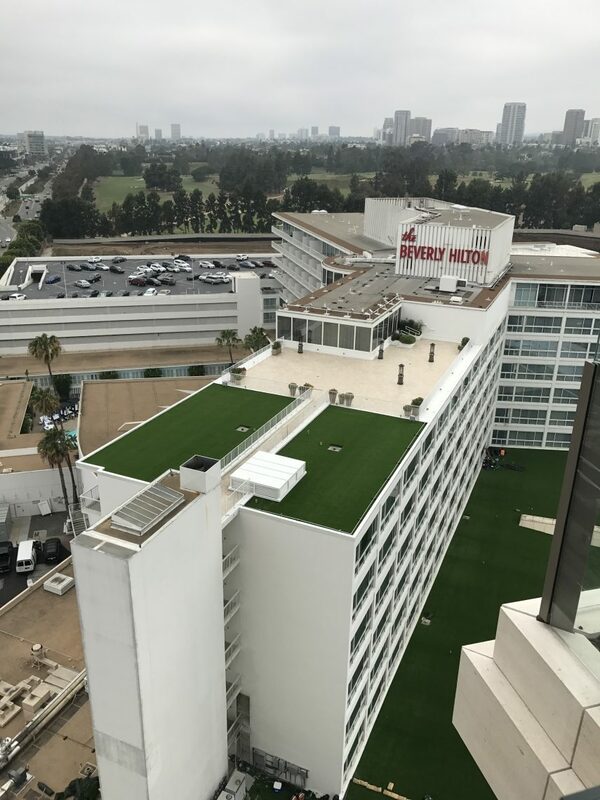 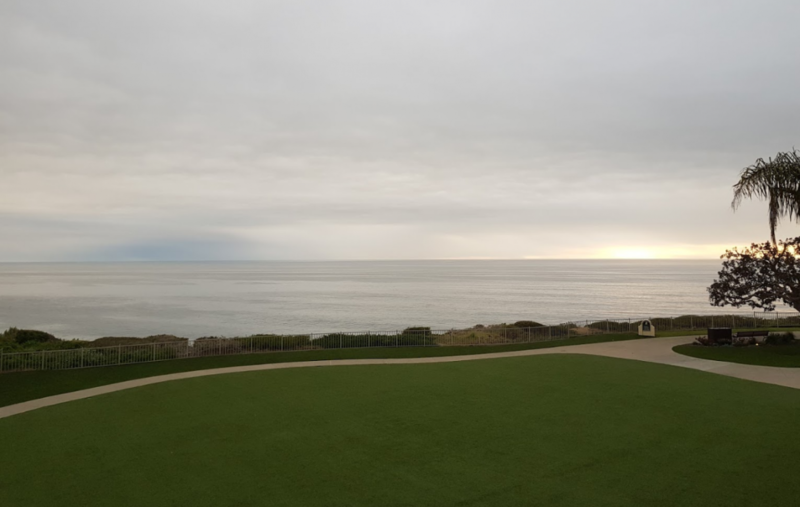 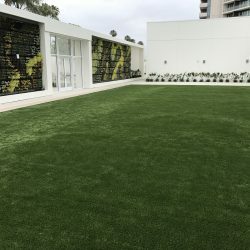 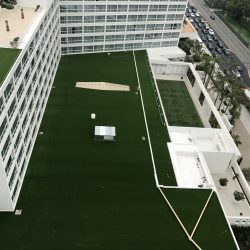 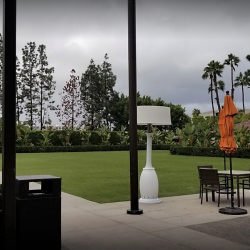 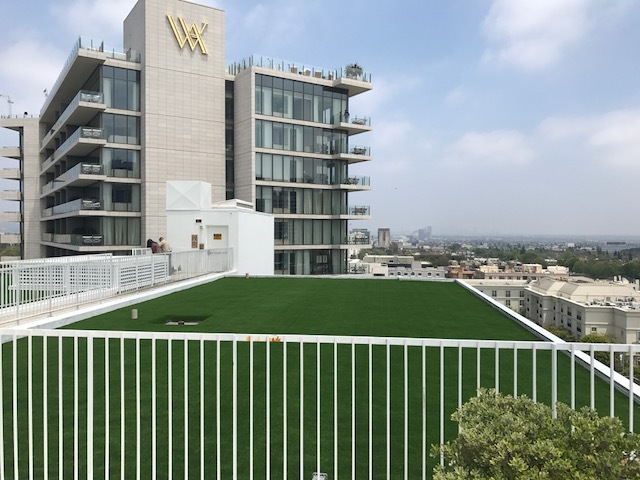 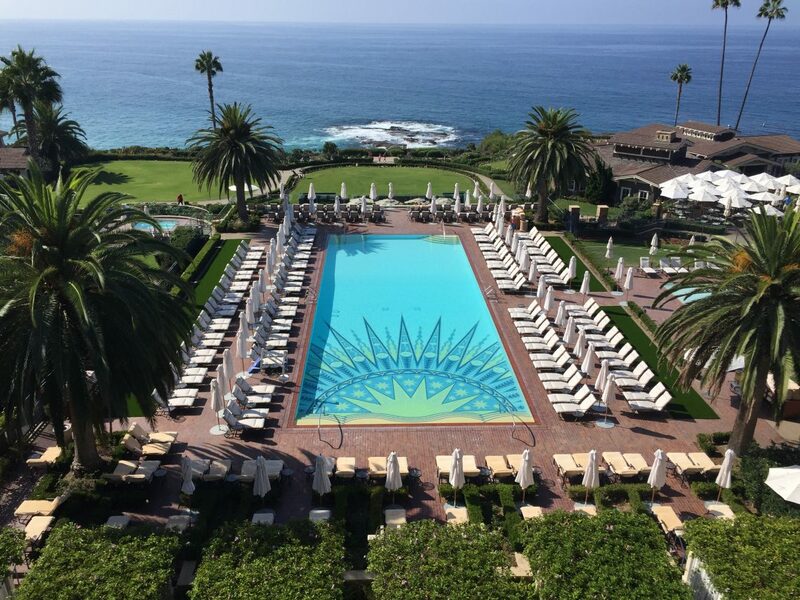 States and municipalities around the nation are even offering tax credits and water rebates to incentivize companies to switch to artificial grass. 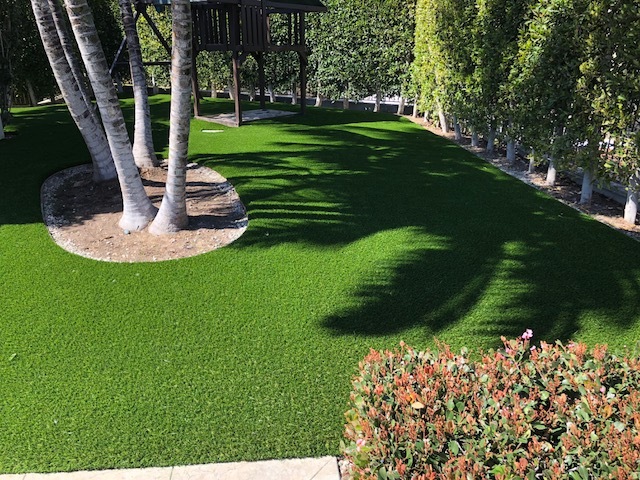 There’s never been a better time to go green with Five Star Turf’s eco-friendly artificial turf surfaces. 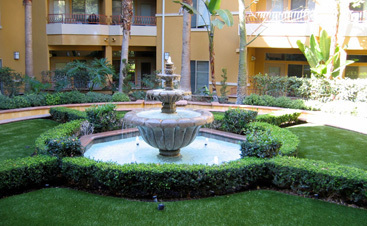 Contact us and find out how we can reduce your maintenance costs today.